Cutblocks outside of our watershed. Glade community is off the page on the left. Read any logging literature, speak to any member of the industry, and the words most often spoken are 'sustainable', and 'renewable'. Like this quote from the ILMA (Aug2016) Solutions pamphlet: "Our forests are a cherished renewable resource essential to both our economic future and the spirit of all British Columbians." (Sept 3, 2013) There may be ways to retain the volume of timber available such as focusing timber harvesting on interface fire fuel reduction surrounding populated areas while still retaining current viewscape and watershed values that homeowners and tourism depend on...If the local mills in question have been stewarding the land for decades and trees are a crop then the shortfall in timber should not be long lived because second growth should be catching up... Lodgepole Pine has faced infestation and mortality and it comprises 20 to 25 per cent of the local timber land base which affects long term timber supply, however, it is a natural process and timber volumes should adjust for that. As a director with ...forested areas adjacent to my electoral area and with a drainage that has already suffered a significant landslide at Laird Creek, I don’t know what was discussed by the directors that attended the meeting, nor the mills in attendance and that is an uncomfortable position, but I have to trust that there will not be a re-evaluation of the West Kootenay Boundary Land Use Plan that results in a reduction in parks, critical habitat or drinking watershed protection. (emphasis added) These values were established through an exhaustive scientific and public outreach program (Commission on Resources and the Environment) and subsequent modifications to Forest Stewardship Planning processes have reduced public input opportunities. And again, in 2016, the ILMA went to the RDCK and told them that "Our area’s lumber mills are asking the RDCK to support their call for the province to change timber harvesting regulations". (ILMA presentation, May 2016 by ILMA Chair Mark Semeniuk (ATCO) and Vice Chair Ken Kalesnikoff (Kalesnikoff Lumber). the answer to sustainability...waiting a couple of decades until the trees grow back...? Hodgkinson (Kalesnikoff's Woodland Manager) says the simple fact is that all the easily accessed and harvested areas have already been logged, which is forcing forest companies into more challenging areas. So what are the forestry companies going to do in the future if the wood is getting harder and more expensive to harvest? 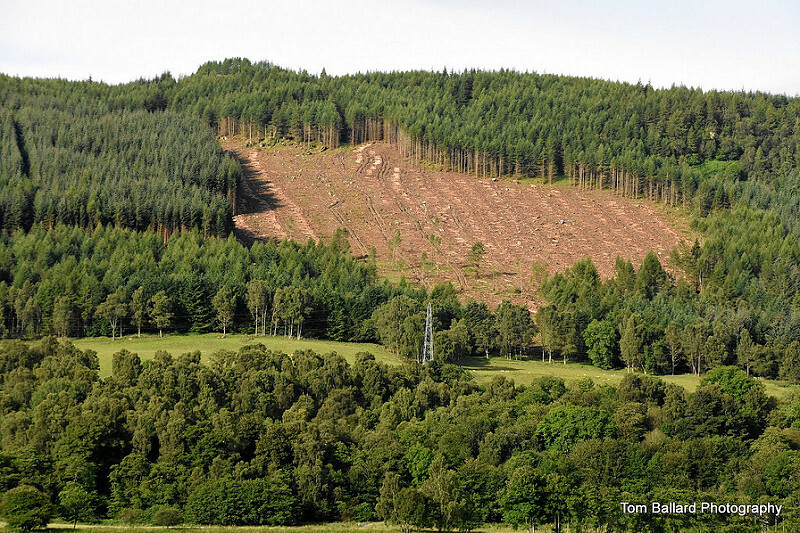 At the moment the logging business is booming, said Hodgkinson, so the expense isn’t a worry. And there might be a couple of tight decades before all the reforested areas are ready to be logged again, but some are already being harvested, he told the Daily. The first very obvious problems with this statement are: it is doubtful that any business will want to suffer a couple of 'tight decades', and cutting plantation trees is not sustainable. 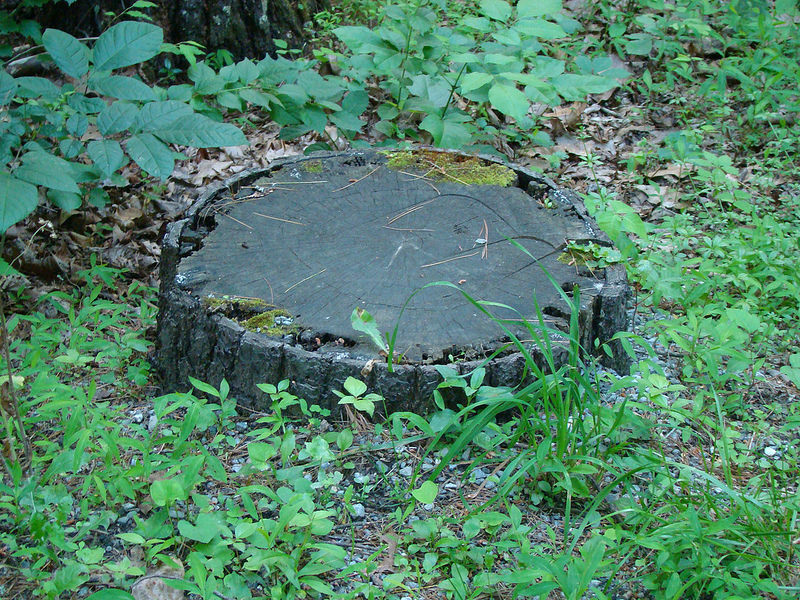 Every time a cut is made, the ecosystem is damaged to such an extent that the chances of trees growing back becomes less each time. 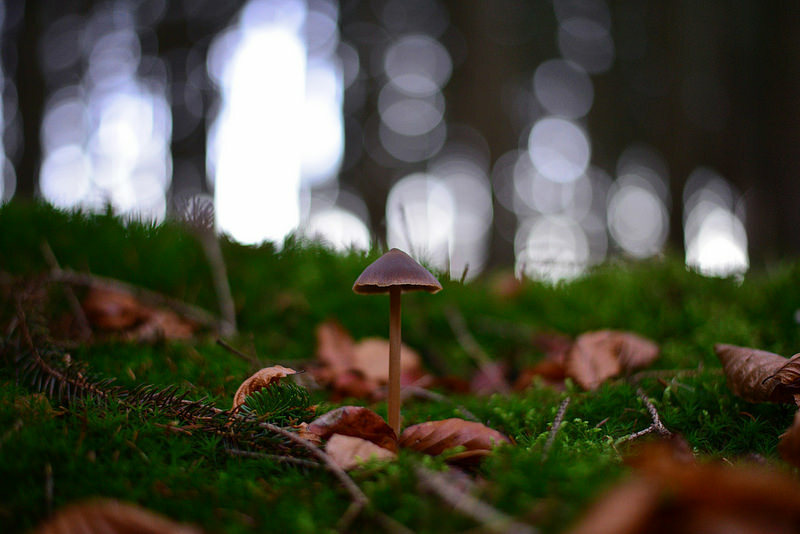 Are Non Sustainable Practices Leading to a Lack of Wood? Even though the industry and the Ministry of Forests keeps telling the public and stakeholders that the timber resources are renewable and sustainable, everyone in the industry also speaks about the lack of resources. When asked why they were logging in watersheds, almost everyone in the industry maintains it is because of lack of available wood in other areas and also that watershed areas are now included in the timber harvest area by the government. So the argument seems to be that there is not enough wood, and the industry is aware that there is not enough wood, but that minimal amount of wood is included by the government tally of wood available, so it must be okay. But GWPS questions why the logging company is going into their watershed to harvest timber at all. Hodgkinson says the simple fact is that all the easily accessed and harvested areas have already been logged, which is forcing forest companies into more challenging areas. It is often said, “look they have overcut everywhere else and now they have to come here” The facts are, that almost all crown watersheds are part of the Timber Harvesting Landbase (THLB) and have been used to calculate the Allowable Annual Cuts (AAC) in this province. Providing hope to people and communities wracked by horrific events (Burns Lake Mill explosion and fire) is not only understandable it’s essential. But what the provincial government offers instead is false hope – a dangerously backwards plan. Instead of acknowledging that consumption must align with what the forests can sustain, the government seeks to bend supply to demand. It’s a recipe for even more job losses in future years as the government kicks the problem down the road. It used to be that a mature tree was considered to be 120 years old. In the mid 90's this restriction was reduced to 80 years old, so now younger, smaller trees could be cut down. Likely because, even then. they were not being cut at a sustainable rate. 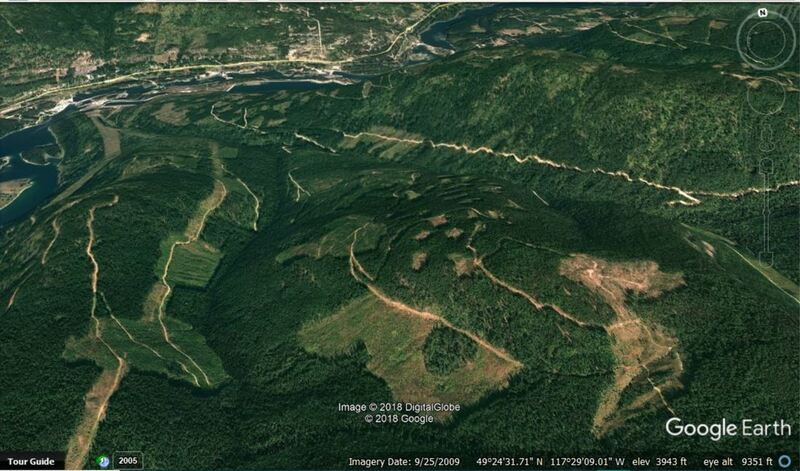 In 2001, a complaint was received by the Forest practices Board that alleged ATCO Lumber Ltd. was cutting immature timber around Nelson, BC without regard to the future value of the timber. Although, amazingly, there is no provincial standard for harvesting age, the District Manager generally considers mixed Douglas stands less that 80 years old to be immature. An investigation by the Ministry of Forests found that the trees being cut by ATCO were an average age of 81 years old, so ATCO had not contravened the Code. Now, is the lack of wood meant in a physical sense, for example, there are not enough trees? Or are the logging companies saying there are not enough cheaply sourced trees, as in Canal Flats, BC? Canfor (a company that made almost 4 billion dollars in sales in 2015) closed down the sawmill in Canal Flats one month before Christmas, putting 10% of the town out of work. A spokesperson for Canfor said that: "poor markets... combined with a lack of economically available fibre for the mill" caused the closure. (emphasis added). "It's OK to print this e-mail. Paper is a biodegradable, renewable, sustainable product made from trees. Growing and harvesting trees ...and working forests are good for the environment, providing clean air, clean water, wildlife habitat and carbon storage...."
Besides being short sighted in terms of our effects on future generations, it is also unclear how 'working forests' - (IE logged or clear cut forests) provide "clean air, clean water, wildlife habitat and carbon storage".